Identify and recognize the attributes and features of premium vinyl flooring that is currently used in many building types. Assess the strengths and limitations of locking, floating vinyl flooring including safety related concerns of slip resistance and code compliance. Investigate and determine the proper subfloor preparation and installation techniques to be specified for a safe, code-compliant installation. Instruct contractors and owners on the proper care, maintenance, and alteration of a safe and slip-resistant locking, floating vinyl floor system. According to the Resilient Floor Covering Institute, resilient flooring is second only to carpet in floor covering sales in North America. Vinyl tile and plank in particular are a popular choice in almost any application because it is durable, easy to maintain, and available in many different colors and patterns. Installation processes have continued to change and evolve in recent years with the emergence of flooring that does not require adhesive to stay in place. 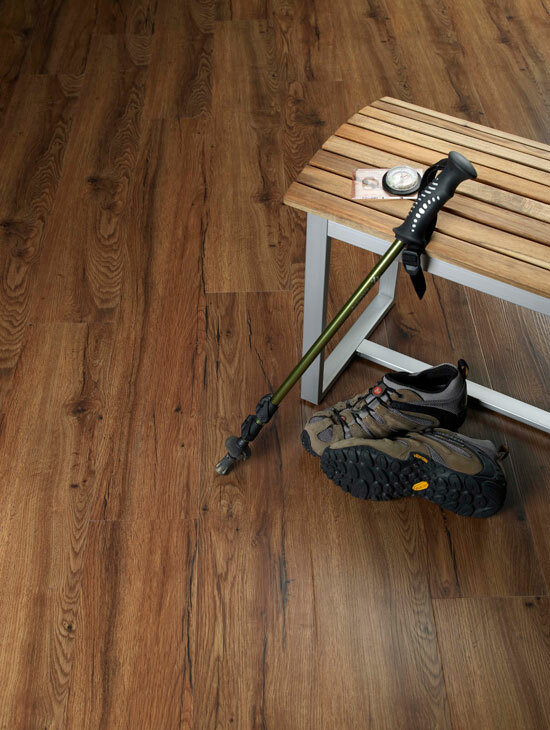 Such adhesive free installations have been available for some time in the form of sheet vinyl flooring, but now, the same is also true for vinyl tile and plank. In this case, instead of relying on the interlocking mechanism for this piece, some manufacturers offer either a tape or glue solution that allows the piece to fit in place yet remain a floating floor. Architects, interior designers, and facilities managers have commonly relied on vinyl tile for floor covering in commercial, institutional, and some residential buildings due to its versatility and durability. Such tile is commonly available in 12, 16, or 18 inch square shapes in a wide variety of colors and patterns. From a design standpoint, this allows for a great deal of creative possibilities by mixing and matching different colors and patterns in layouts appropriate to their location. Similarly, vinyl planks have been introduced to the market in recent years that emulate the look of wood or other natural flooring materials. These products are available in 3, 6 or 7 inch wide planks that can be 36 – 48 inches long. For many buildings, this is a useful size particularly in long narrow spaces such as corridors or in large areas where the look of square tiles is less desirable. Since the use of vinyl tile and plank use is so widespread, they have become fairly economical choices within a range of quality and types. Further, their installation and maintenance have become well known and fairly standard. That doesn’t mean they are without issues or concerns, however. Some of the most common worries come from adhering the tile or plank to a clean, flush, substrate. Material that is adhered improperly will come loose or can be damaged due to only a portion coming loose. The adhesive itself is a common source of volatile organic compounds (VOCs) that are a known concern for indoor air quality. 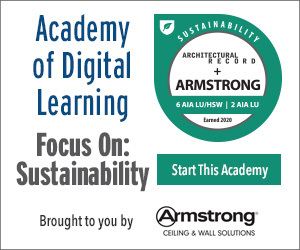 Therefore, they are being reduced if not excluded altogether in green building design. In terms of the substrate, irregularities can telegraph through the tile or cause the flooring to bend or crack over a ridge particularly since the adhesive doesn’t allow any other movement. Over time, when vinyl flooring needs to be replaced, it is a significant undertaking to do the removal since the adhesive will need to be overcome to release the tiles. The old flooring is essentially no longer usable and needs to be recycled or discarded. Similarly, the existing substrate will need attention to clean it of adhesive or be covered over with a new substrate.